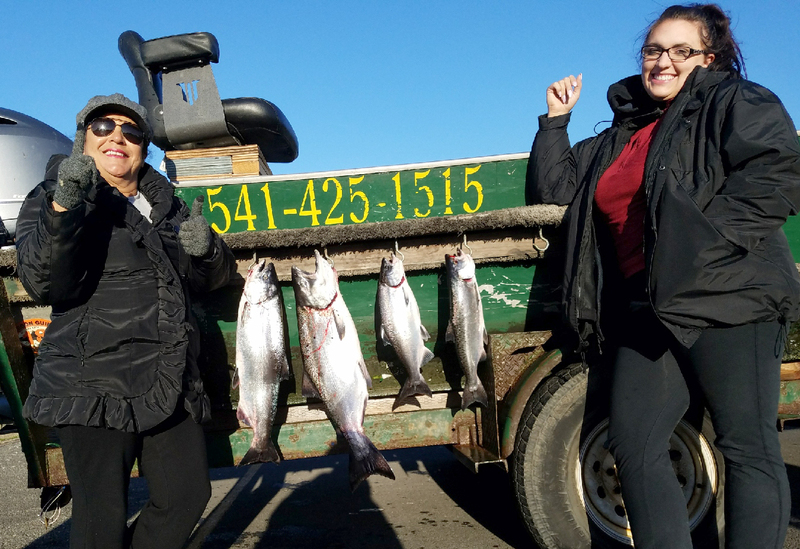 The wind and swells outside the Port of Brookings Harbor subsided enough for anglers to try their luck at catching bottomfish. 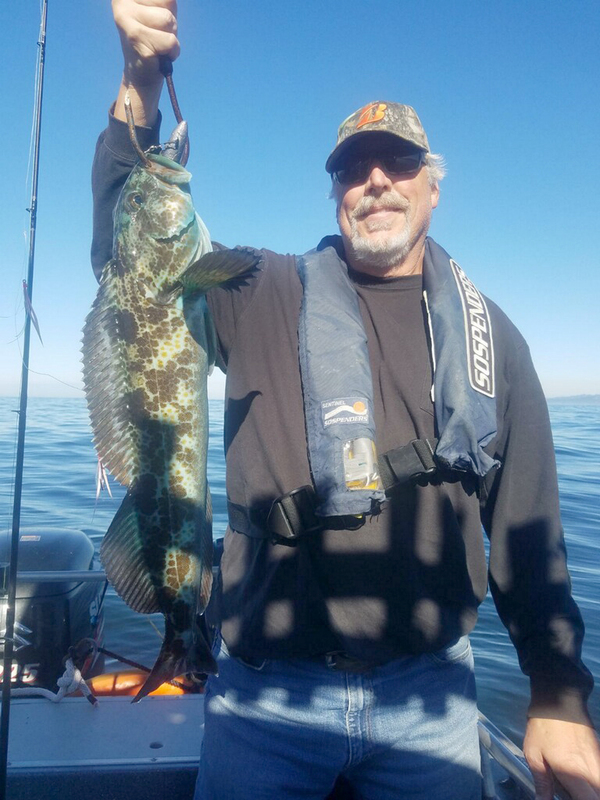 The port’s fillet station saw plenty of limits of large rockfish in the 3- to 5-pound category and limits or near-limits of lingcod ranging from 8 to 20 pounds. Remember that the limit for rockfish has been bumped back up to 5 fish a day, while the limit on lings still remains at 2 fish per day with a minimum size limit of 22 inches. Winds averaging 5 knots or less with a 3- to 5-foot swell should make bottomfishing doable this weekend. The same conditions are predicted for Monday, however there is a slight chance of rain being in the forecast by Monday or Tuesday. As usual, always check the National Weather Service’s website for up-to-the-minute forecasts. Fishing for Chinook in the ocean last weekend was fair to middlin’ for fish averaging between 25 and 35 pounds, with an occasional 40 pounder thrown in for good measure. 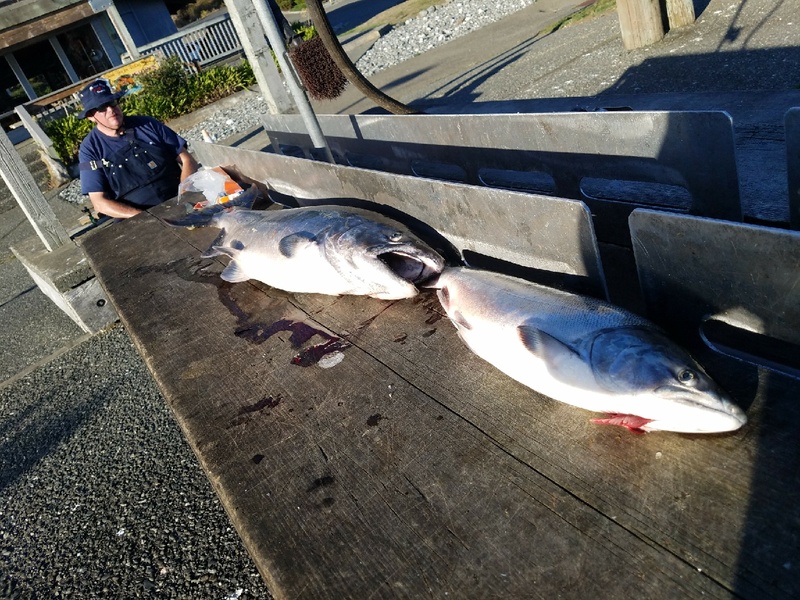 The bubble fishery is now closed, as is crabbing in the ocean, but the size of the Chinook that were caught is a good indicator of the fish that are and will be entering the Chetco bay. Given that rain has been predicted for Monday and Tuesday, the low-pressure front should be bringing plenty of biting Chinook into the Chetco bay and encouraging to move them into the first deep tidewater holes at Morris Hole, Tide Rock and then into Social Security Bar. 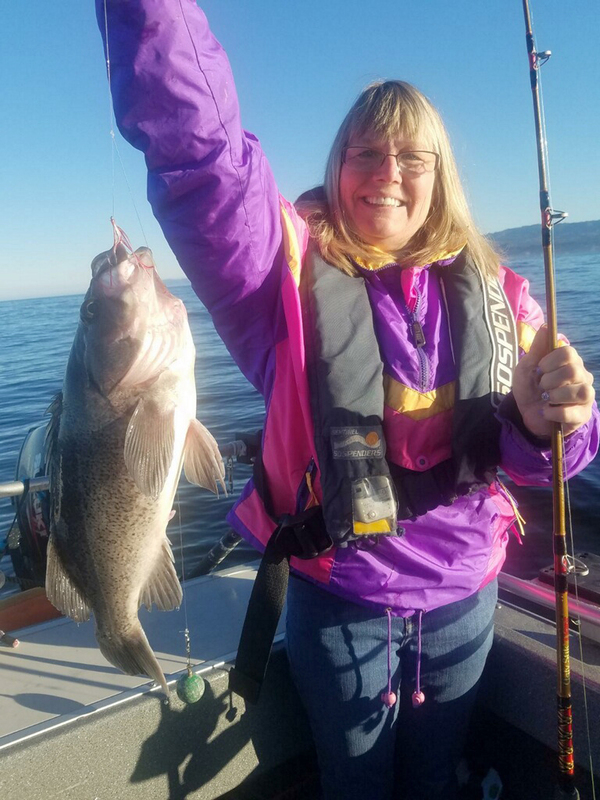 With a drop in barometric pressure, fishing should be improving in the Chetco bay, where anglers will be using spinnerbait rigs with or without spinner blades. My personal preference is to troll straight bait deployed on a spinnerbait rig. Make sure that your rig is bouncing bottom occasionally, and for the best presentation, make double sure that your anchovy has a porpoise-like bend to it to make it spin as tight as a drill bit. Some anglers are using cut-plug herring or are cut-plugging large sardines as well. If you decide to go the cut-plug route, you will still be bouncing bottom, but you’re going to have to slow down your troll to under 1 mile per hour to keep the bait from being torn to shreds by the troll or by the strong current. Further upriver, anglers are hitting the deeper tidewater holes using a bobber-and-eggs or bobber-and-sand shrimp combo. Be mindful that there are a lot of outgoing smolts in the river that will rip up your bait in no time flat, so try and avoid these hordes of potential adult salmon if at all possible. With Monday and Tuesday’s predicted rains and subsequent drop in barometric pressure, these lower tidewater fish should go on-the-bite and on-the-feed this weekend and into early next week. The only worthwhile tip I can give potential bobber-and-bait fishermen is to get to your spot at first legal light, which is one hour before sunrise. This is the magic hour when the fish have been undisturbed and are less spooky than usual. I predict that there should be several hundred Chinook in the lower tidewater holes to access, definitely by Tuesday. 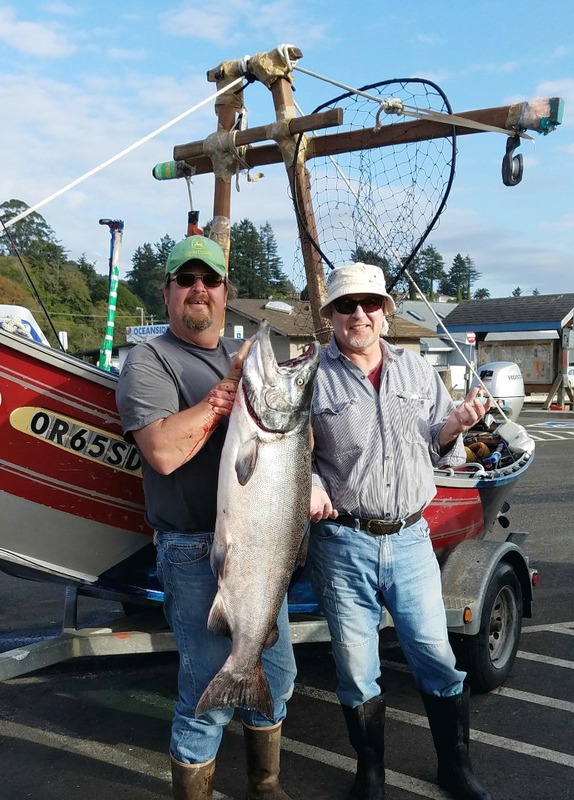 Tuesday is also the day that ODFW and the Oregon South Coast Fishermen begin their first seining of Chinook for the Chetco Broodstock Program, so there should be plenty of fish accessible for anglers who are willing to get up at the crack of dawn. The Rogue bay has continued to provide anglers with plenty of rod-bending thrills from Chinook and coho, but the Indian Creek Chinook haven’t showed up in the numbers that were expected. The reason for the poor show of Indian Creek kings could be because there is a less-than-expected run this year, or that the Indian Creek fish are just late for dinner. I prefer to believe the latter reason to be the case. “In the ocean, we are still seeing decent fishing for red-fin perch and in the river, we are also seeing an increase of (Dungeness crab) in the mouth,” said Jim Carey, owner of the Rogue Outdoor Store in Gold Beach on Thursday. Carey also mentioned that anglers are seeing a reasonable amount of coho still moving through the river. He said the 2 seinings at Huntley Park by ODFW last Monday and Wednesday both produced about 45 silvers. 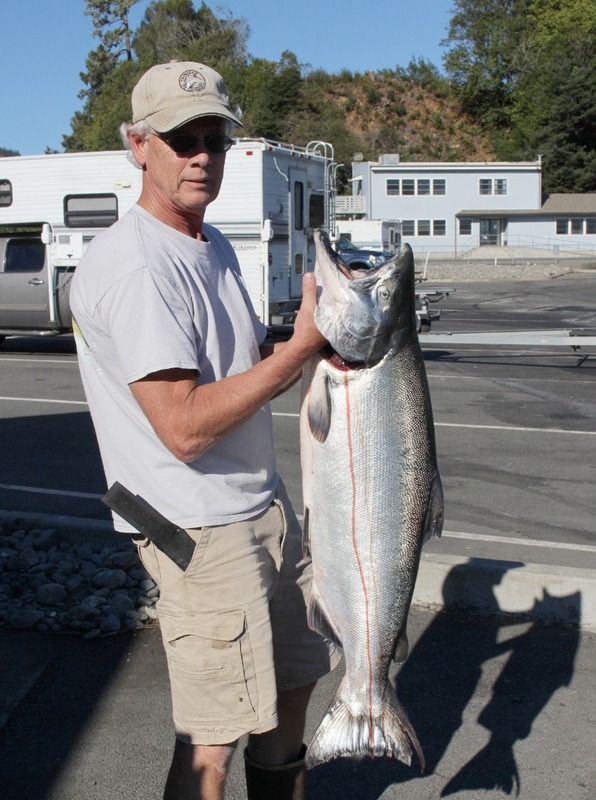 Now that’s pretty good fishing on any day of the week, with anglers having to release 5 to 6 coho per boat. 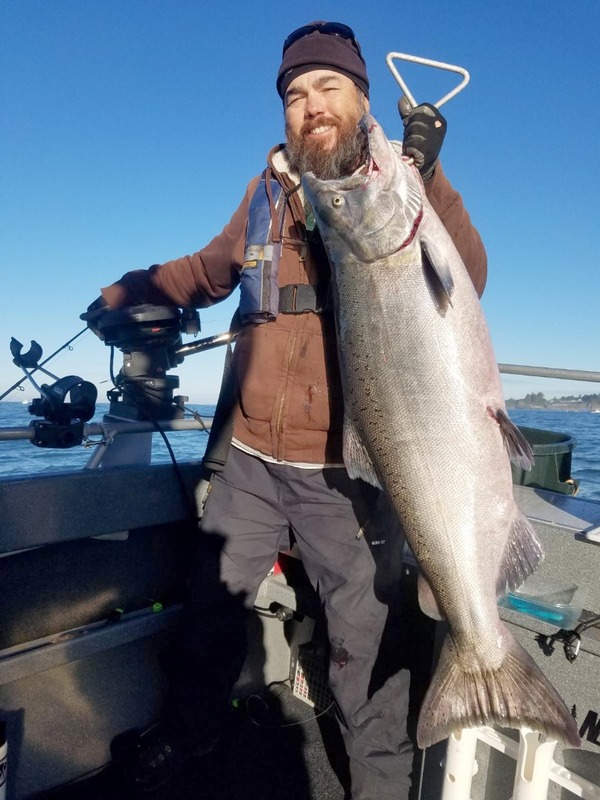 Action is the name of the game, and anglers are cashing in on plenty of dogfights in the Rogue bay, with one particular guide continuing to dominate the pack. “The action has been steady. All this week I’ve been averaging 7 hookups a day, and out of the 7 fish, we’ll get two keepers,” said John Anderson of Memory Makers Rogue River Guide Service on Thursday. The two keepers that Anderson is referring to are adult Rogue River kings. Anglers who are more intent on catching coho, also known as silvers, should use shocking pink or bright orange spinner blades on their spinnerbait rigs. Remember that anglers may only keep hatchery, adipose fin-clipped coho. The realistic expectation is to catch one hatchery coho for every 10 coho that are hooked. So hold onto your hope rocks. With the beginning of the week’s prediction of lowered barometric pressure, there could be a possibility of hordes of Rogue River Chinook, Indian Creek Chinook and coho crossing the Rogue River bar this weekend and into next week. 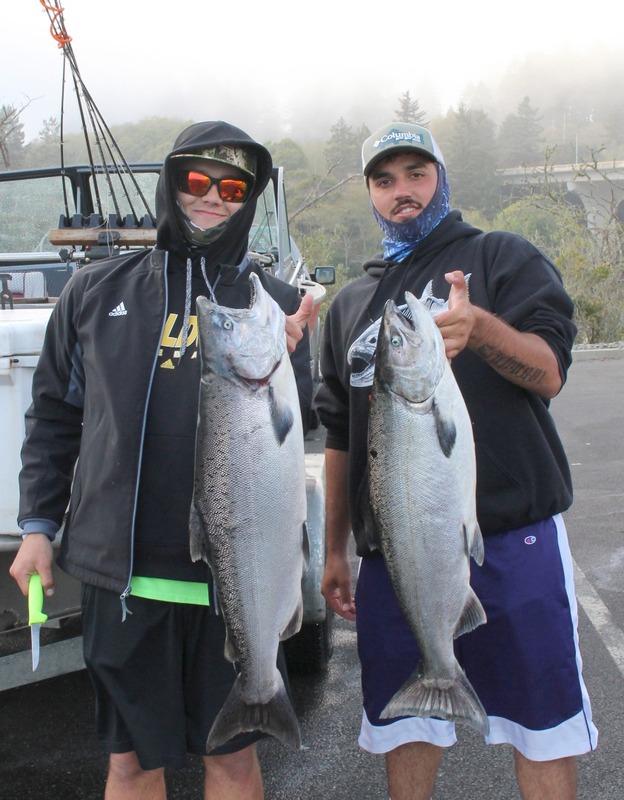 Several hundred Chinook were tallied when the Chetco Bubble Fishery was over, like these two cookie cutter chrome kings that were caught on Sunday. Photo by Larry Ellis. 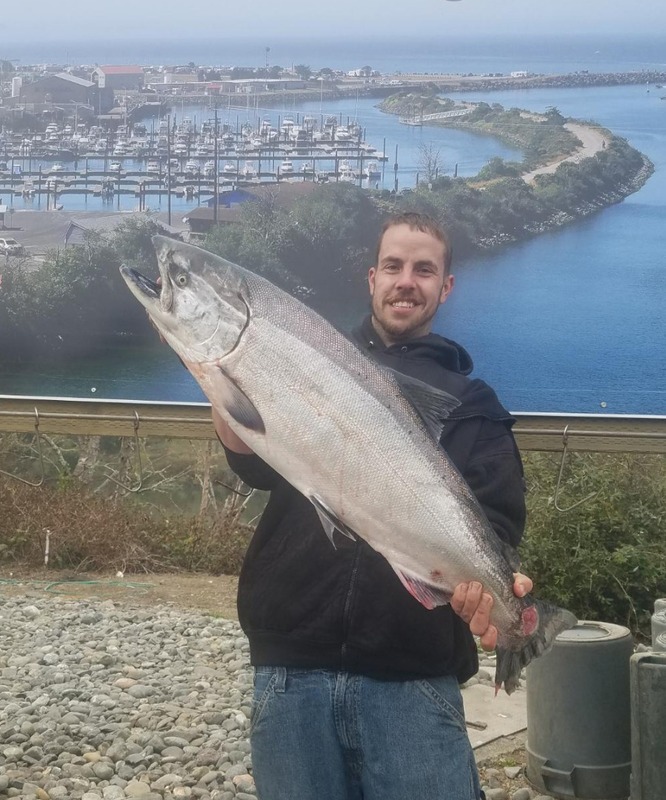 John Grewe from Washington State caught this 30-plus pound Chinook in the Chetco bay while trolling a spinnerbait rig with guide Dave Castellanos on Wednesday. Photo courtesy of Cast Guide Service.